Jamaica’s cabinet has approved a bill, which would legalize the possession of small amounts of cannabis. It would also allow the development of a medical marijuana industry. The bill will go to the Senate later this week for approval. Marijuana, or ‘ganja’ as it is known locally, has long been associated with the Caribbean island country. Bob Marley and the Rastafarian community did much to promote the use of the drug, but it always remained illegal. Things are about to change, with Justice Minister Mark Golding saying he expects to introduce the legislation to the Senate by the end of this week. "The development is long overdue and comes after years, and, in recent times, heavy pressure from what is now a diverse and broadening group of stakeholders on human rights, social, economic, scientific and medical grounds," director of the Cannabis Commercial and Medicinal Research Taskforce, Delano Seiveright, said in a statement, as reported by the Jamaica Observer. Big moves today on Ganja Law Reform. 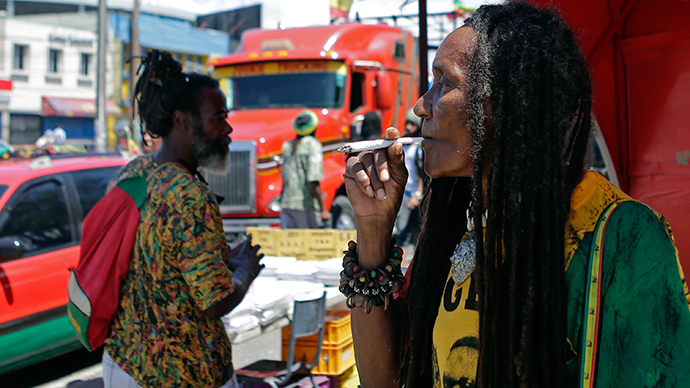 Jamaica's Cabinet gives green light for decriminalisation & medical cannabis. Parliament to pass soon. The new move would also allow Rastafarians, who use marijuana as a sacrament to use cannabis legally for religious purposes for the first time. The movement was founded in Jamaica in the 1930s. Meanwhile, Golding believes the legalization of the drug could lead to a boost in the country’s already popular tourism industry. "We need to position ourselves to take advantage of the significant economic opportunities offered by this emerging industry," Golding said, as reported by AP. Legalising marijuana should do wonders for Jamaica's tourism's industry. ..Ganja Tours!! Golding has stressed that despite the plans to relax the marijuana laws on the Caribbean island, this will not lead to a softening policy on other drugs in Jamaica. The justice minister says the government will continue its tough stance on drug trafficking and will support a public education campaign to advise youngster against smoking cannabis. A number of countries in the region have liberalized regarding marijuana in recent years. Mexico, Colombia and Argentina now allow people to carry small amounts of the drug, with Argentina set to follow suit. Meanwhile, Uruguay became the first country in the world last year to introduce legislation, which permits the growth, sale and distribution of the drug.